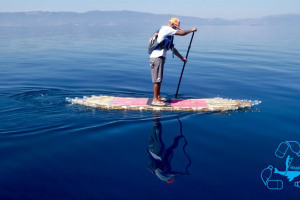 Carlos and Carolyn will paddle the length of the River Thames from the source to the Sea on their Stand Up Paddleboards (SUP) made out of recycled plastic bottles to deliver a Message to parliament. On World Oceans Day 2017 Carlos and Carolyn became the first people in the world to paddle a marathon on a SUP made out of plastic bottles. 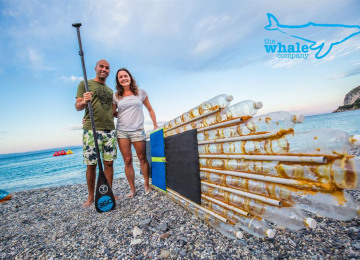 They went on to complete 12 marathons (42km) in 12 countries in Europe, catching the eye of European media to raise awareness of plastic pollution in our waterways. 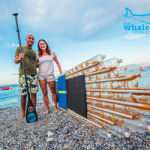 The plastic bottle SUP creates a real impact and is a great tool to initiate a conversation about plastic pollution. This year Carlos and Carolyn will paddle 300km from the navigable source of the River Thames at Lechlade to the sea at Gravesend. They will paddle on two SUPs made out of recycled plastic bottles and will ask children to share their ‘Message in a Bottle’ in the form of Bottle Bunting, to deliver to parliament when they reach London. Along the route, they will talk to schools, MPs and local councilors to inspire behaviour change and encourage innovative solutions to the problem of plastic pollution. Talk to schools, collect and share ideas in the form of Bottle Bunting. Encourage people to paddle with us. Spread awareness in a fun and positive way. Plastic lasts forever and yet it is used for items that we use once for just a few minutes. 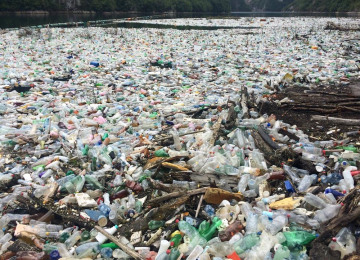 The flow of plastic is making its way into the River Thames, spoiling the nature and damaging wildlife, even affecting the course of the River. 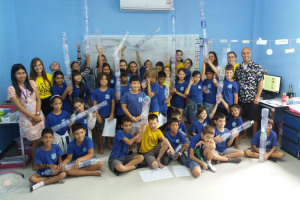 The Plastic Bottle SUP is an incredible tool to start a conversation about plastic pollution. It creates a real impact and inspires people to think about how they might also take action. We will clean up the River on route and join clean ups. We will further encourage social engagement with the Bottle Bunting Challenge- the first task is to up-cycle old fabric and the second is to share a 'message in a bottle' suggesting how to tackle the problem of plastic pollution. We are collaborating with several environmental group and sports clubs. The project is also about re-connecting to nature. We want to encourage people to spend more time outside in nature- promoting a healthy, active lifestyle. When you start to appreciate nature, you want to protect it. We will paddle 300km down the Thames in 17 legs. 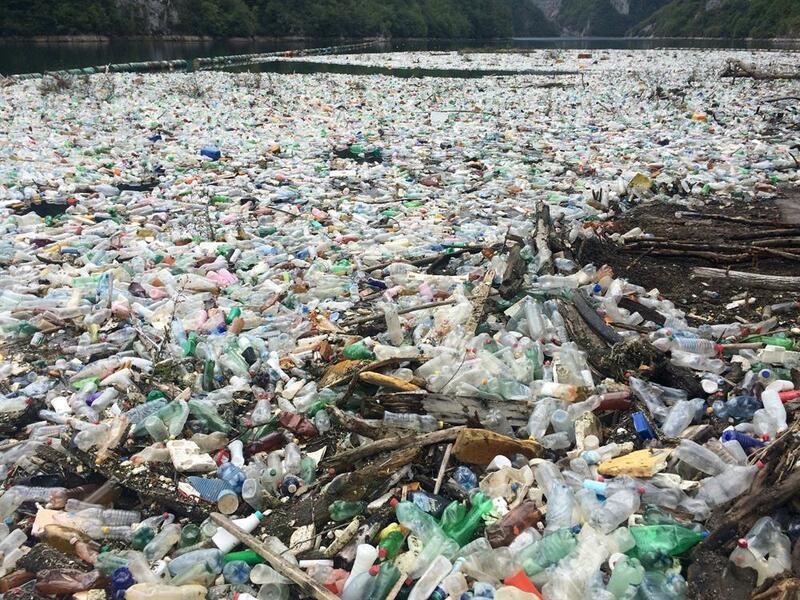 We will clean up the Thames as we go. 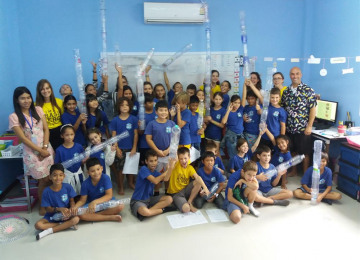 'Education is the most powerful weapon which you can use to change the world.’ Nelson Mandela As teachers, Carlos and Carolyn are passionate about inspiring the next generation to become creative designers for a more sustainable world. 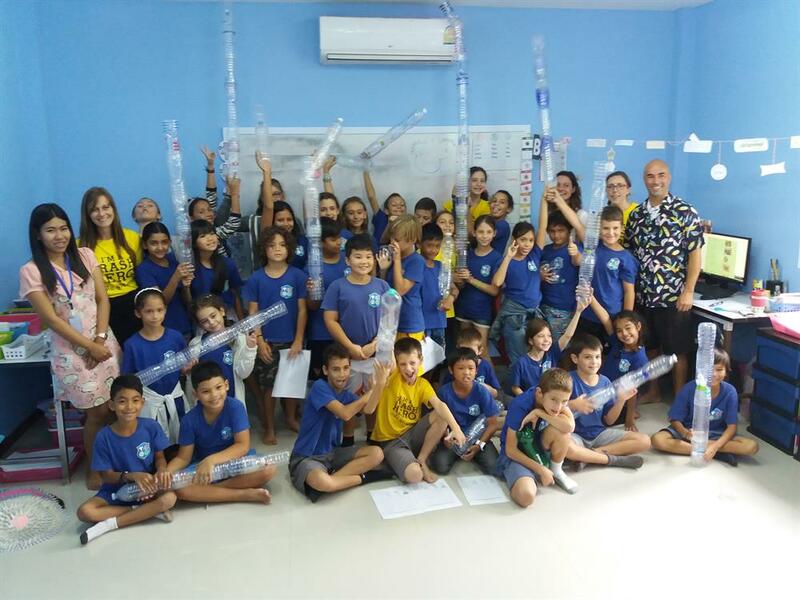 They have developed Bottle Boards workshops to teach children about circular economy design and turning waste into a valuable resource. 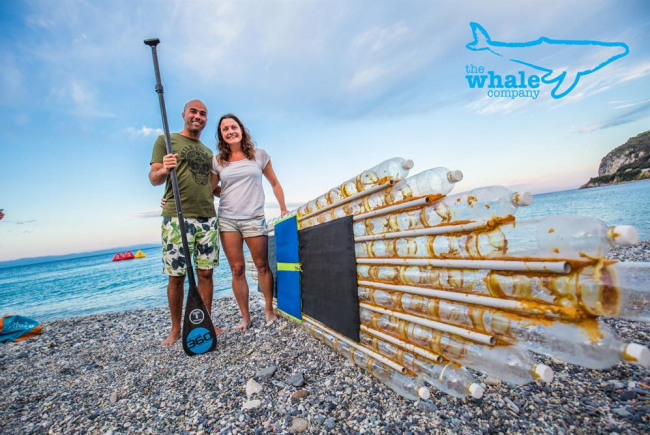 They will launch the full Bottle Boards program in September 2018 but will be talking to schools all along the Thames during the Source to Sea and inviting children to participate in the Message in a Bottle Bunting challenge. Various SUP, kayak, rowing and canoes clubs as well as individual will join Carlos and Carolyn on their journey and help to clean up the river on their way helping to transform and restore the river to healthy place that people will want to enjoy. We have built one Bottle Board with the help of over 200 children at the Barnes Children's Literature Festival last weekend. Huge thanks to the festival, Alison from Plastic Free Barnes and Mortlake, Ann from Barnes Tidy Towpath and all the children from St Osmunds, Barnes Primary and Harrodian. It was a great weekend and we loved your enthusiam. We still need a few more bottles to build our second board... so please get in touch and help us share our new crowdfunding page. Help with Press. 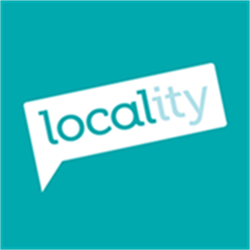 We know that we have a great story but we need your help to spread the word. Join us... we want to invite anyone and everyone to paddle with us - get in touch www.thewhalecompany.co.uk/source2sea. Logistical support. We need to drive a few kilometres each day from where we start to where we finish and perhaps a few little trips (to get food/ to go to schools) to carry our gear (tents). Is anyone free to join us for a few days with a car? 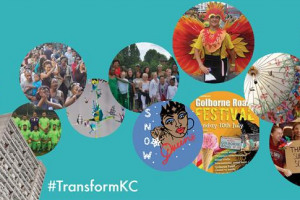 To work with schools and communities to promote connection to nature through sports, the arts and craft; driving positive change in attitude and behaviour and encouraging the emergence of innovative solutions for a more sustainable world. Over the last ten years we have produced more plastic than in the whole of the last century! 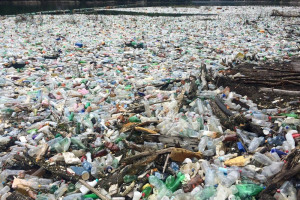 The global problem of plastic is escalating out of control - a rubbish-truck load is dumped into the ocean every minute and by 2050 there will be more plastic in the ocean than fish. Although plastic can be recycled, only 24% of the five million tonnes of plastic used in the UK every year is recycled or re-used; we urgently need to rethink how we are using plastic. SUP is the fastest growing water sport, accessible to all ages and abilities. 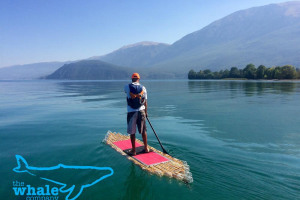 It is a beautiful sport that improves fitness, balance and core strength at the same time as connecting you directly with the water and surrounding nature. There is no coincidence that it is fast becoming associated with protecting the environment; sadly when you paddle it won’t be long before you see plastic and other pollution floating in the water. The impact is powerful and will initiate change because we protect what we love. 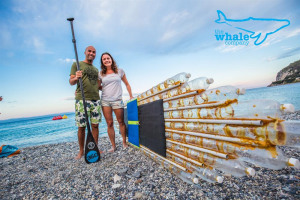 The Whale Company organises annual fundraising, awareness expeditions on Plastic Bottle Boards and runs Education Workshops in schools and communities. 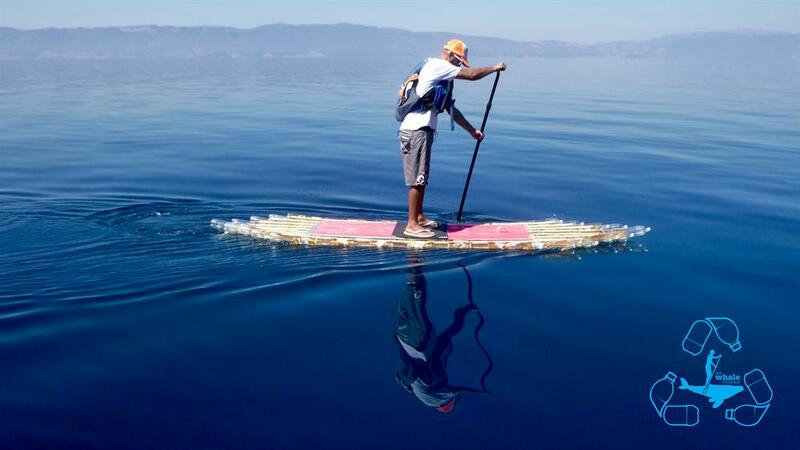 On World Oceans Day 2017 Carlos and Carolyn became the first people in the world to paddle a marathon on a SUP made out of plastic bottles. They went on to complete 12 marathons (42km) in 12 countries in Europe, catching the eye of European media to raise awareness of the global issue of plastic pollution in our waterways. 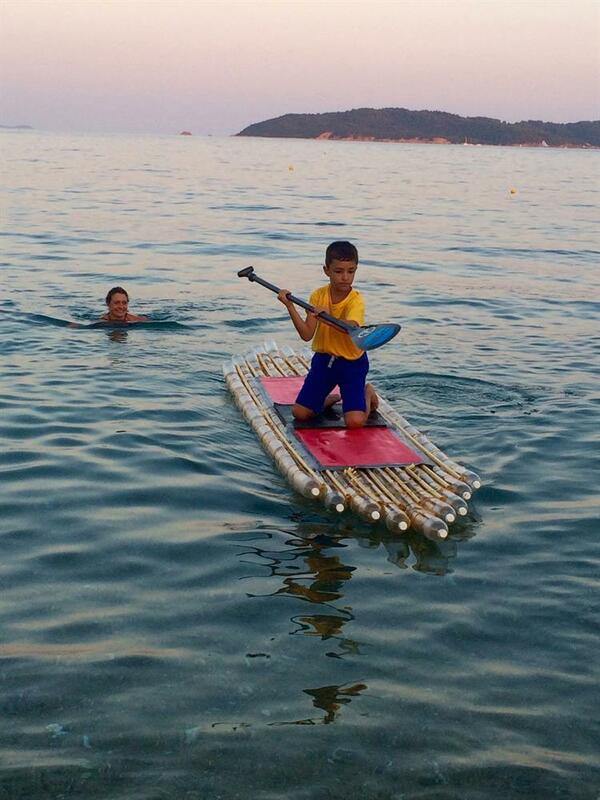 The plastic bottle SUP creates a real impact and is a great tool to initiate a conversation about plastic pollution. This year on World Oceans Day, 8 June Carlos and Carolyn will paddle 300km from the navigable source of the River Thames at Lechlade to the sea at Gravesend. 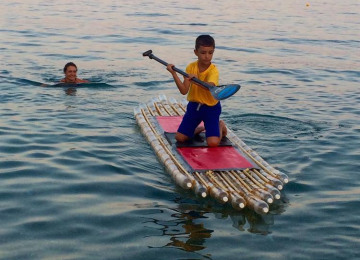 They will paddle on two stand up paddle boards made out of plastic bottles and will ask children to share their ‘Message in a Bottle’ bottle bunting to deliver to parliament when they reach London. Project Delivery Manager: The Whale Company The Project Delivery Manager takes legal responsibility for receiving and spending the funds raised and ensuring the project is delivered.